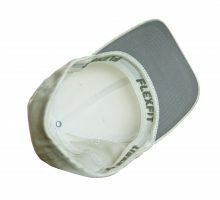 Utilising Flexfit® caps we bring to you 2 options, or should I say 3. 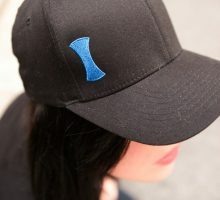 We have a fitted cap in either black or white, (who would have guessed) and the I insignia embroidered in 12 different colours. 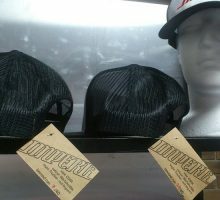 Thirdly our blatantly in your face and out there cap affectionately known as a Trucker, with Imperii in red centred on the front panel. We trust there is something to your liking. Quality Flexfit® with the I insignia in a selection of 12 colours, I say that’s spoilt for choice. The embroidery thread is shiny and so can look different shades of the one colour depending on light, angle of photo and so forth. 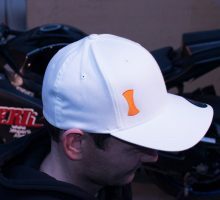 A Trucker style with a snap back. 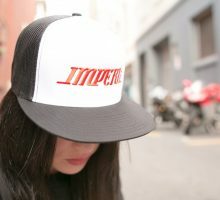 Here we have one size fits all in black-white-black with Imperii in red blazoned across the front. It starts life with a flat peak but if you want a rounded peak roll it gently between your hands. We have done a Limited Run of 40. 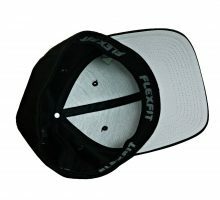 View our fitted caps by Flexfit® with I insignia in black or white.